bombardier is the world’s leading manufacturer of both planes and trains, and is headquartered in montréal, canada. with a heritage dating back to the very first business jet, bombardier business aircraft has at its core a forward looking, innovative spirit that is embodied by its people and the aircraft they have proudly manufactured, sold and supported over the last 50 years. 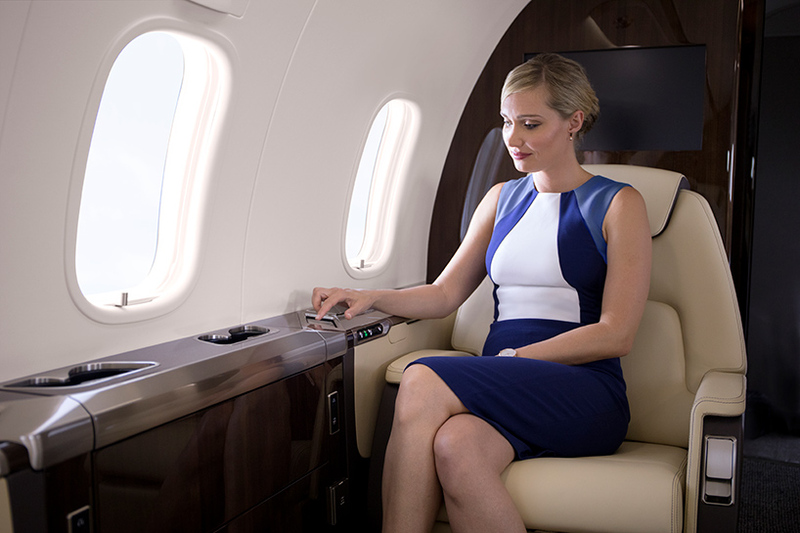 bombardier’s line of business jets is the most comprehensive of any original equipment manufacturer, with three leading aircraft families. 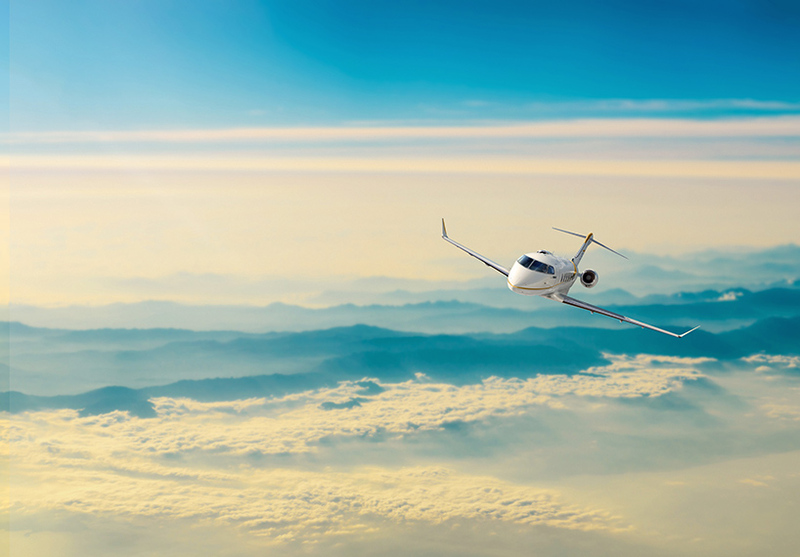 its line of learjet, challenger and global jets allow customers to grow within the bombardier business aircraft family as their travel requirements evolve. 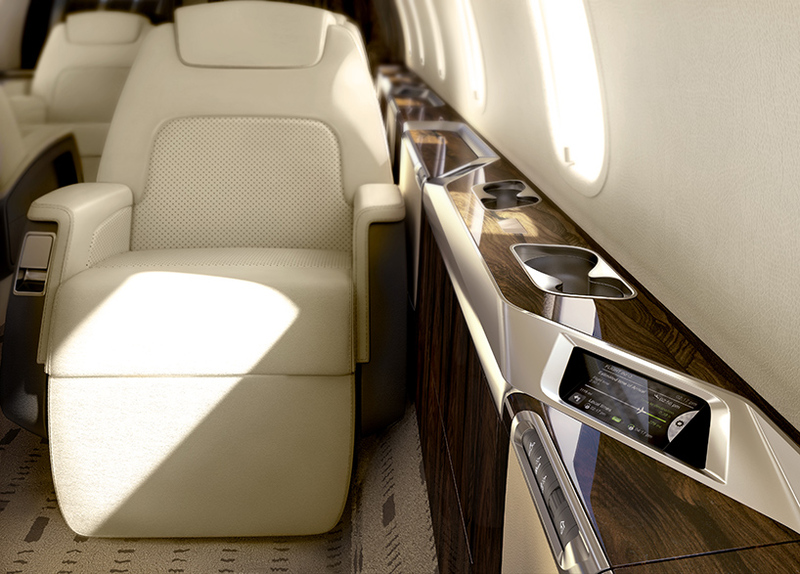 every detail of a bombardier business jet is meticulously designed. expert engineering and superior craftsmanship allow customers to experience productivity when they need it and comfort where they expect it. 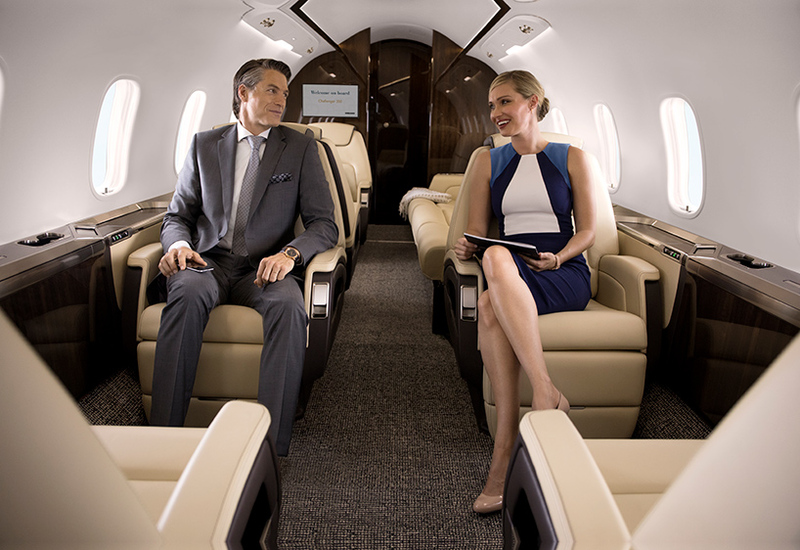 bombardier delivers the best and elevates the exceptional private jet experience at every possible level. 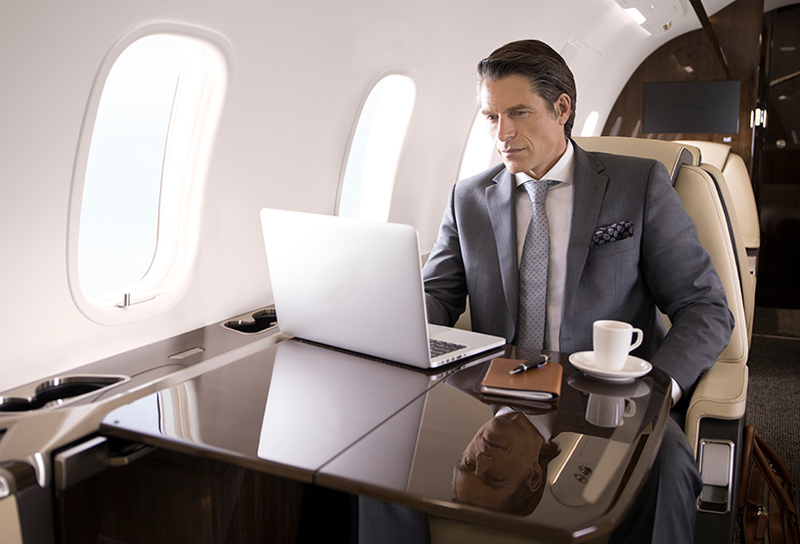 becoming the best-selling business jet platform of the last decade is no small achievement. it takes an aircraft so superior and unmatched in excellence, that only bombardier’s challenger 350 possesses the title. 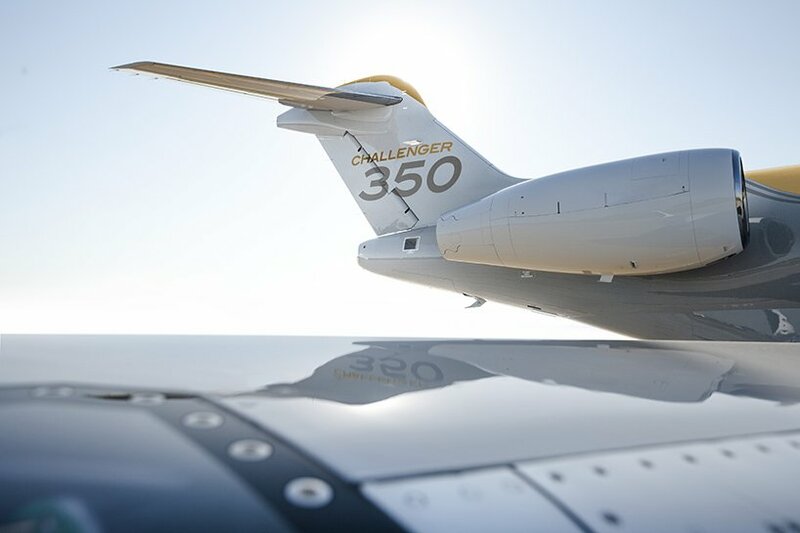 meticulously designed with a ‘no-compromise’ approach, expertly engineered to the heights of performance ability, and built with superior craftsmanship by a team of dedicated artisans, the challenger 350 is the total package. 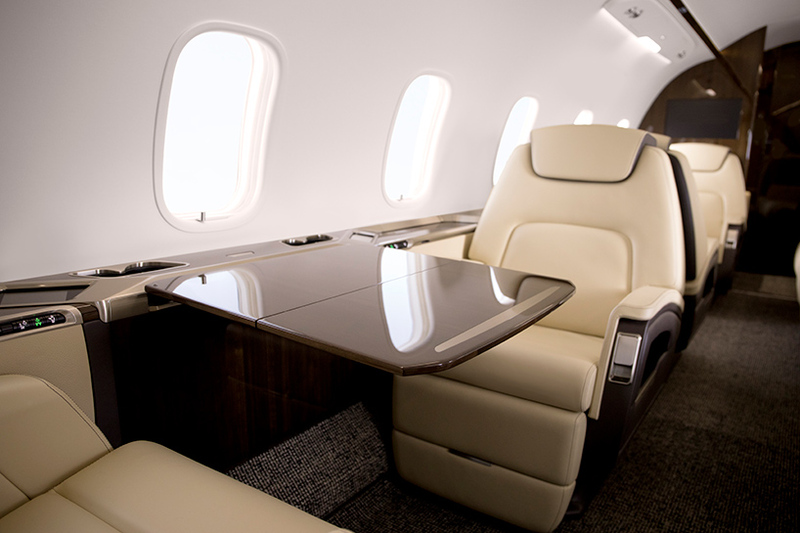 on-board bombardier’s challenger 350, every detail of the aircraft has been meticulously selected and thoughtfully designed to shape a truly unrivaled private jet experience. 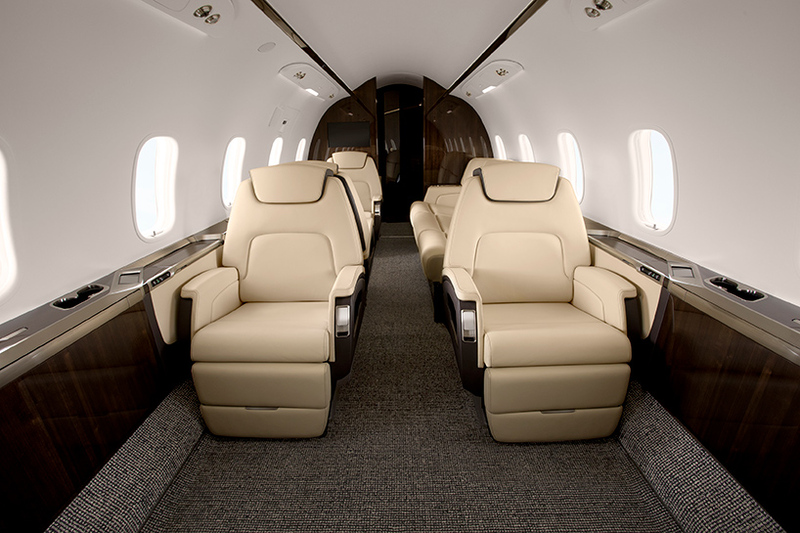 multiple floor plans can accommodate up to 10 passengers in hand-sculpted seats that swivel, track, and recline. wood and stone flooring welcomes passengers into a luxurious, spacious setting that mirrors the world-class interior design they might find in a residential space, or within their own home. signature metal trim and clever foldout tables define the styling of the cabin experience, while large windows, angled touch screens, and carefully selected finishes unearth a sense of luxury on-board — the perfect balance between aesthetics and ergonomics. this vision for bombardier business aircraft is manifested in a strong sense of intentional elegance on-board the challenger 350. cutting-edge technology is integrated throughout, and cabin control sits at passengers’ fingertips. information and entertainment can be seamlessly switched via bombardier’s exclusive cabin management system (CMS), ensuring that passengers can have a productive journey — whether they want to watch a movie on the largest, high-definition monitors in the field, or communicate with the office using air-to-ground technologies that connect to the world below. meanwhile, crystal-clear sound comes to life through integrated sidewall speakers, exclusive to its class. 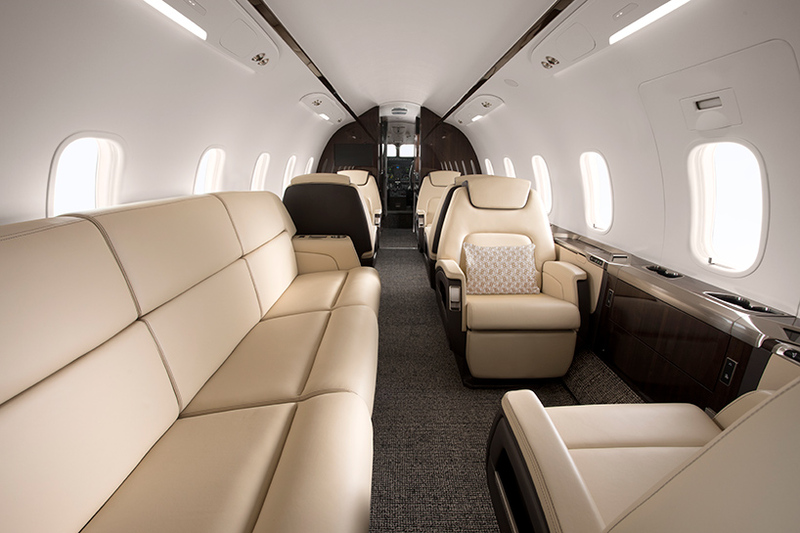 just as fagan describes the global 7500 as an expression of tailored luxury, so too is the challenger 350, with its exceptional interiors artfully crafted at bombardier’s state of the art challenger building in montréal. a multidisciplinary team with expertise in areas like cabinet making and finishing, woodworking, upholstery, and painting work together on various aspects of the production and development of the aircraft, bringing the customer’s vision to life and making sure every detail is just right. when it’s time for customers to take their challenger 350 to the skies, this business aircraft doesn’t disappoint. 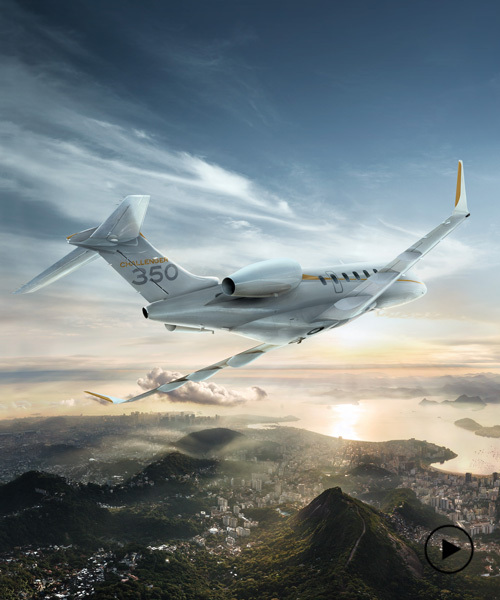 whether flying from new york to london, paris to dubai or hong kong to mumbai, the challenger 350 goes a full 3,200 nautical mile range with full fuel at full passenger capacity. 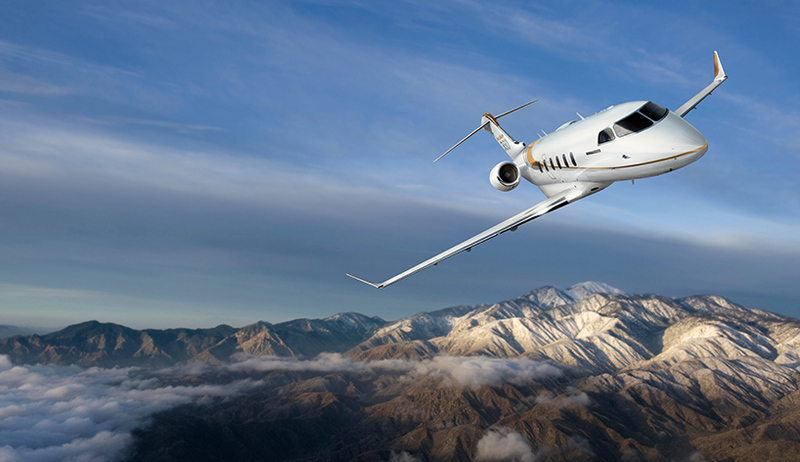 the total performance package, the challenger 350 aircraft climbs promptly and directly to 43,000 feet — reaching destinations quickly and efficiently while cruising above commercial traffic and weather. wing, engine and landing gear were developed in concert to ensure an optimally balanced design and smooth ride. 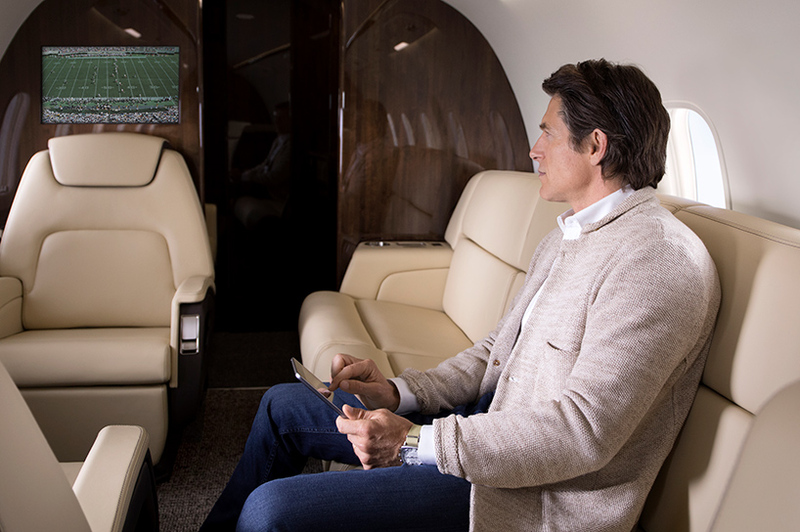 from takeoff to touchdown, the passenger experience on board the challenger 350 is unrivaled, with the private jet excelling in every department — from engineering to interior design. 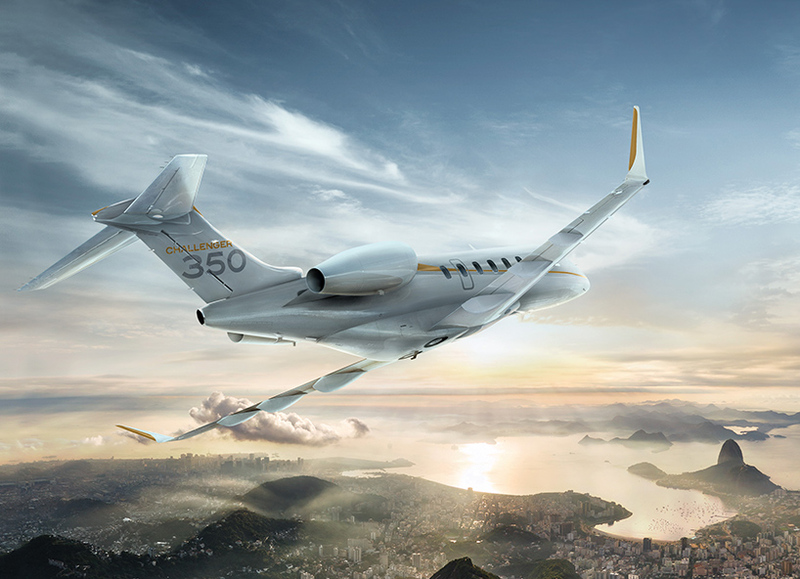 with bombardier’s ‘no-compromise’ approach evident throughout the design of the aircraft, it seems inevitable that the best-selling business jet of the last decade will reach even greater heights in the years to come. 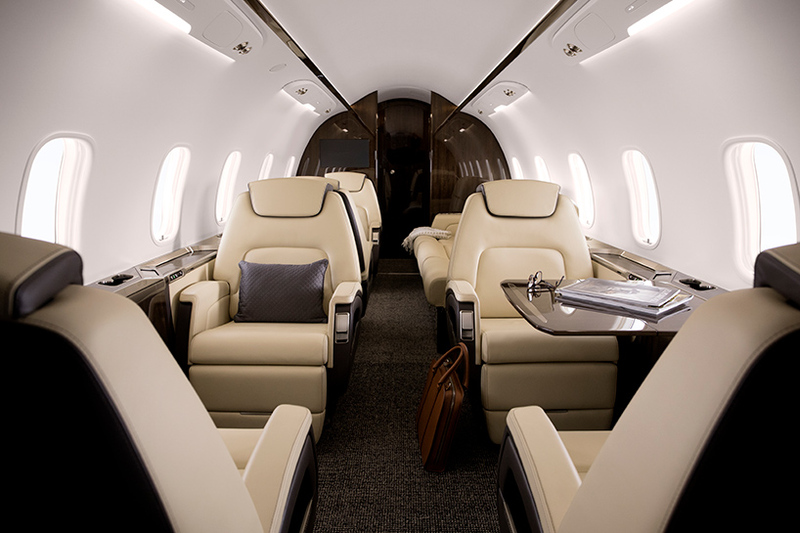 read more about the challenger 350 on bombardier’s website.